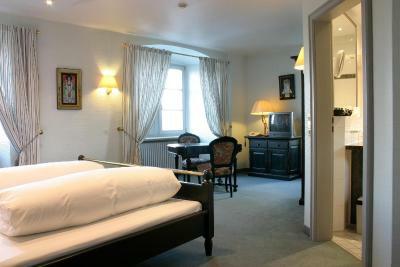 Lock in a great price for Schloss Neuburg – rated 8.8 by recent guests! Driving up late in the evening- it had the feel of the quintessential haunted castle... isolated and dim.... Gates were closed and only one vehicle was seen. It had a slightly spooky feel with one person at the desk but it was an awesome experience to stay here. 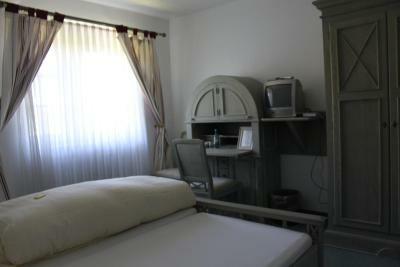 The rooms were clean and well furnished. The grounds were lovely- and we had the place to ourselves which was an interesting experience. The host was attentive. We missed dinner at the restaurant due to travel delays- but the breakfast was incredible and very reasonably priced. Only wish we could have stayed longer! 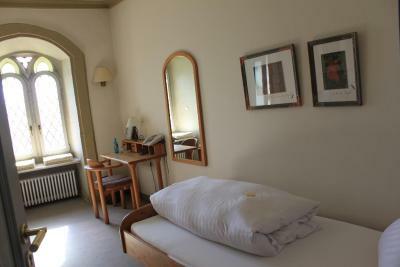 The room was very nice and the view over the river Neckar was great. The staff was very helpful due to the fact that the their restaurant was closed on Monday they advised a very good alternative. The breakfast was very good. All with all a place to go back for an other stay and not on a Monday. 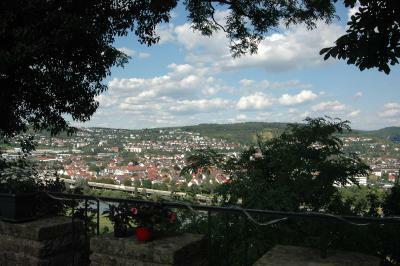 The view over the Neckar valley. Fairly good breakfast. Nice atmosphere. 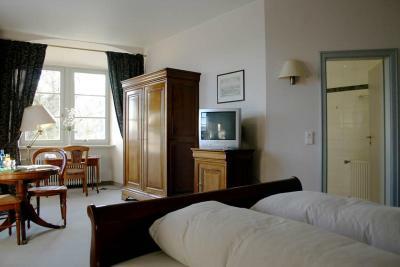 Wonderful hotel with excellent service and great location. Highly recommended !! Breakfast and dinner on the shady terrace were the highlight of our stay. Our room was elegant and spacious. We really appreciated the portable fan during 90-degree weather. 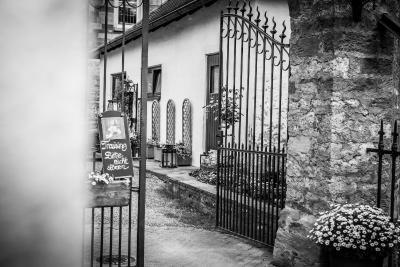 I rarely rate the places we stay - most providing perfectly good facilities/service, however, Schloss Neuburg was such a wonderful experience that I want to publicly acknowledge the beautiful place and the exceptional people there. Firstly, it's a castle high on a hill with sweeping views of the countryside. Jan and Stefan were the most generous hosts we have experienced in a long time. Make sure you enjoy an evening meal there. The food is excellent and of epic proportions. 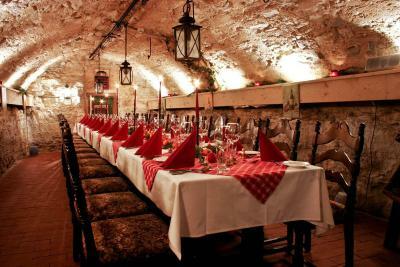 Good wines, patient help for non-German speakers, quality food at reasonable prices. Thank you Schloss Neuburg - we loved staying with you! 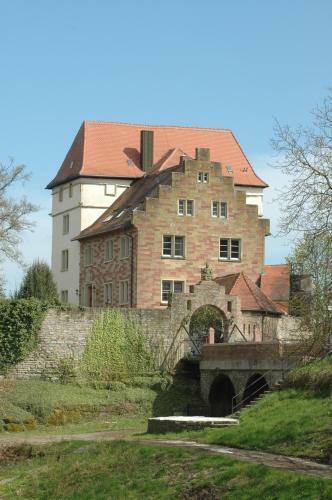 In a historic castle, this hotel provides a scenic location just 650 feet from the banks of the Neckar River. 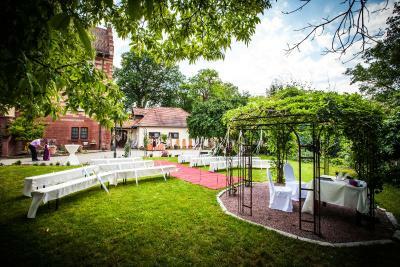 Schloss Neuburg features a quiet garden, regional cuisine and free parking. 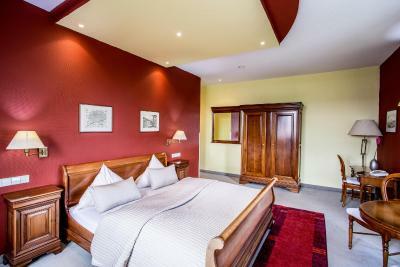 The rooms have classic-style interiors and include a TV, a work desk and panoramic views of the forest or the Neckar River. 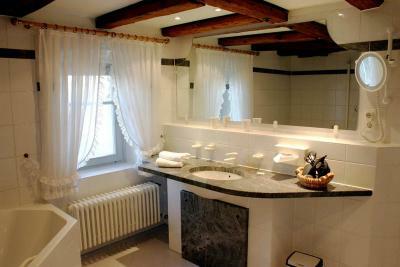 A private bathroom with a hairdryer is also provided. 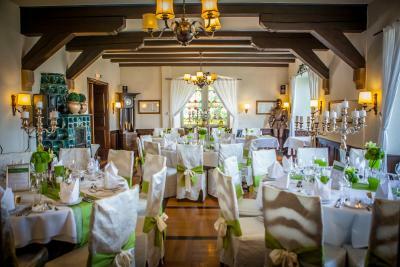 Guests can enjoy their meals in the warmly decorated restaurant with arched ceilings. During warm weather, guests can also relax on the terrace. 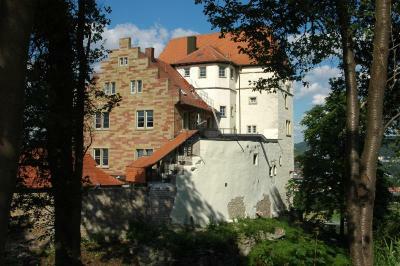 Schloss Neuburg is well located for hiking and cycling in the surrounding countryside. 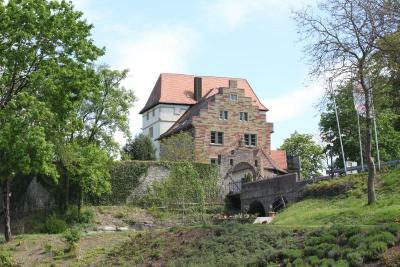 Guests can also visit the towns of Heilbronn and Heidelberg, which are both within a 40-minute drive of the hotel. 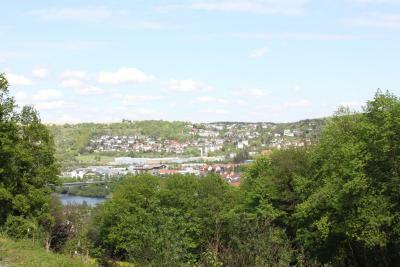 It is a 20-minute drive from the A6 highway. For an extra fee, a shuttle service from Stuttgart Airport (50 miles away) or Frankfurt Airport (93 miles away) can be provided. 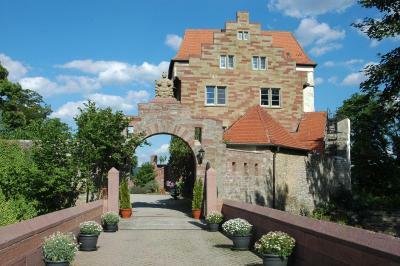 This property also has one of the top-rated locations in Mosbach! Guests are happier about it compared to other properties in the area. 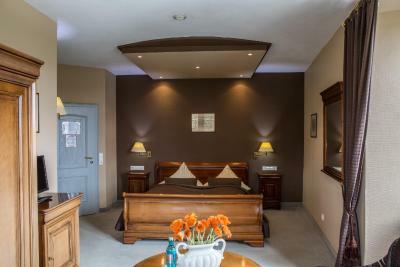 This property is also rated for the best value in Mosbach! Guests are getting more for their money when compared to other properties in this city. 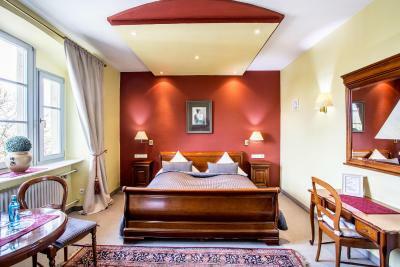 When would you like to stay at Schloss Neuburg? Classic-style room offers a TV, work desk and forest views. 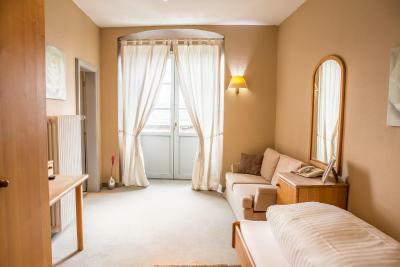 A private bathroom with free toiletries and a hairdryer is also included. 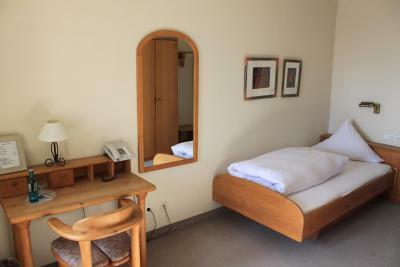 Classic-style room offers a TV, work desk and views of the Neckar River. 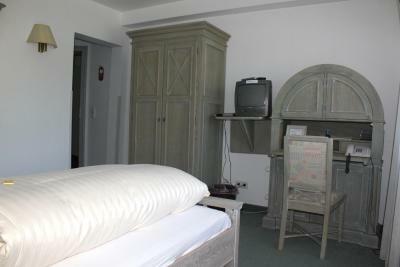 A private bathroom with free toiletries and a hairdryer is also included. 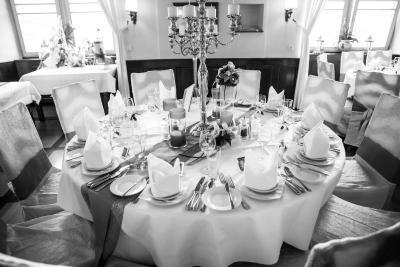 House Rules Schloss Neuburg takes special requests – add in the next step! 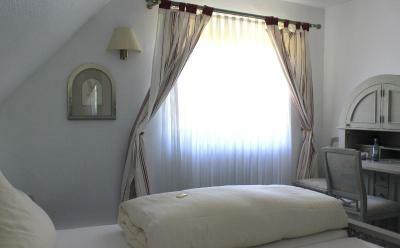 One older child or adult is charged EUR 27 per person per night in an extra bed. Schloss Neuburg accepts these cards and reserves the right to temporarily hold an amount prior to arrival. Please note the restaurant is closed Sunday evenings and Mondays. Unfortunately we didn’t read the small line at the end of the confirmation; kitchen closed. If the hotel is open, so should also the restaurant be. Finding it was a challenge. It was not actually in the place listed- the postal code corresponded with a smaller nearby community but our GPS could not account for that. Bedding was awkward. Getting into and out of shower was treacherous, with nothing to grab onto or prevent slipping. And hearing the highway below -- while certainly not the fault of the property or mgmt -- detracted slightly from the pleasure of staying amid such elegance. Towels were changed although not put on the floor. Super friendly staff and excellent location.